Marrickville is one of the most densely populated areas of Sydney. It has only a small amount of public open space and lacks a substantial tree canopy. 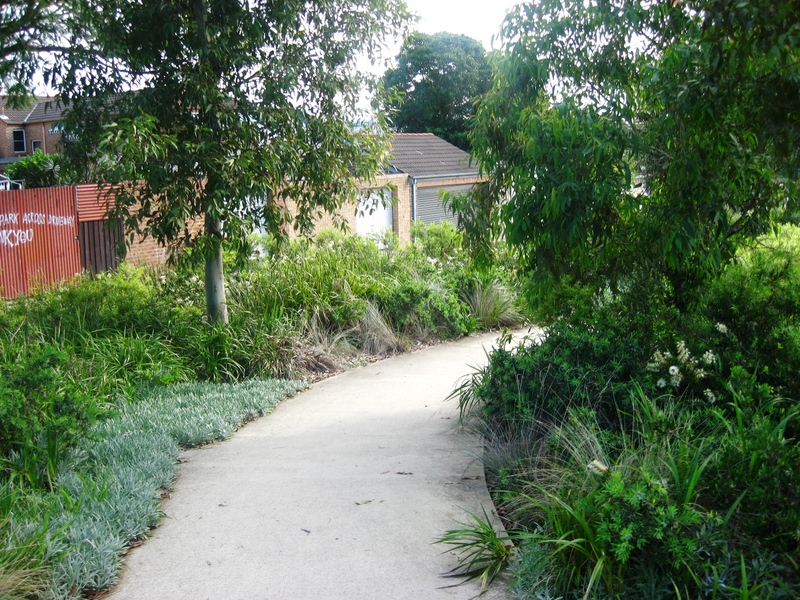 The Greens have a vision of a greener Marrickville, literally. We want to increase the number of trees, or tree canopy in our area. 1) Good street treatments – examples of good street treatments. 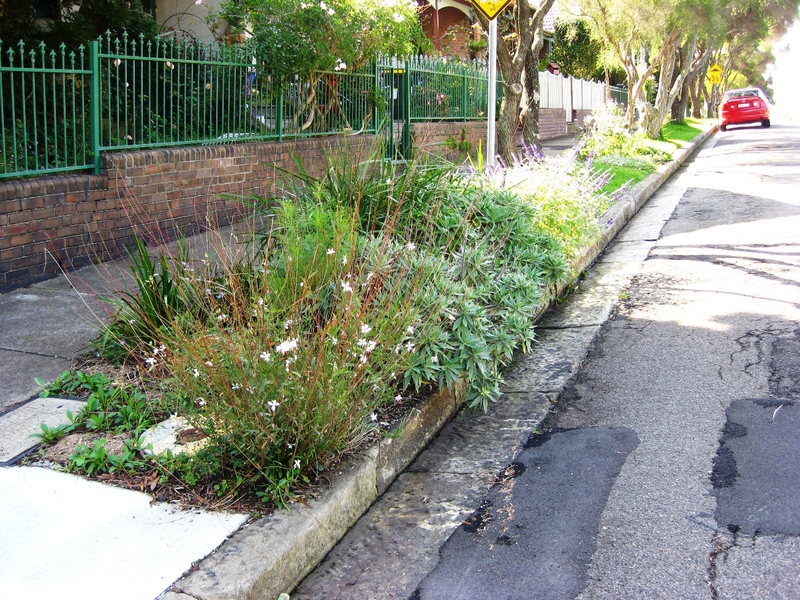 2) Areas that need trees – streets in the Marrickville local government area that need trees planted. If you would like to send us your photographs of good street treatments, or an area you think needs a tree email: phillips.max@gmail.com (include the location of the photo). dioxide per tree per year. species as compared to temperate tree species. and if we divide by the tree’s age, get a yearly sequestration rate. 1. Determine the total (green) weight of the tree. 2. Determine the dry weight of the tree. 3. Determine the weight of carbon in the tree. could be seen as an “average” of all the species’ equations. The root system weighs about 20% as much as the above-ground weight of the tree. weight of the tree by 120%. determine the weight of carbon in the tree, multiply the dry weight of the tree by 50%. CO2 is composed of one molecule of Carbon and 2 molecules of Oxygen. Or consider a 10-year-old Grevillia robusta, 45 feet tall with a trunk 6 inches in diameter. Using the same calculations as above, the amount of CO2 sequestered would be 64.6 lbs. in diameter: 21.5 lbs. of CO2 sequestered per year. taking an average of 1,000 trees per hectare, 73.326 lbs CO2/tree/year. they are not invasive, and they do not destroy the water table and the soil! calculations, please let us know at info@treesftf.org. Thanks and happy tree planting! Experiment Station, Radnor, PA, August 1992. 8 “Tropical Forests and the Greenhouse Effect: A Management Response,” Norman Myers and Thomas J.
Goreau, Discovery Bay Marine Laboratory, University of the West Indies, Discovery Bay, Jamaica, 1991. The take-up of solar and the increasing move towards utilising backyards for growing food is in direct conflict with large trees. I would like to see tree removal/replacement policies amended to take these shifts in trends into account. Shadowing has a detrimental effect on the output of solar panels and also limits the use of backyards. The Marrickville and Petersham-Newtown Greens are the local groups for members of The Greens political party living in the Sydney suburbs of Dulwich Hill, Enmore, Lewisham, Marrickville, Newtown, Petersham, St Peters, Stanmore, Sydenham and Tempe.